I couldn’t imagine what was going through the minds of the Holocaust survivors who processed under the rotunda of Cincinnati’s iconic Union Terminal before taking their seats to watch the ribbon-cutting ceremony of the new Holocaust museum. The grand opening of the Nancy and David Wolf Holocaust & Humanity Center, which took place last weekend on International Holocaust Remembrance Day, was certainly a long time in the making. Cincinnati may seem like an unusual home for a Holocaust museum, but in the 1940s thousands of Holocaust survivors arrived in what was Ohio’s second-largest city on trains in Union Terminal. The exact number is unknown, but some estimate as many as 200 survivors are still living in the Cincinnati area. These local survivors could have been your neighbors or the grandparents or great grandparents of friends. 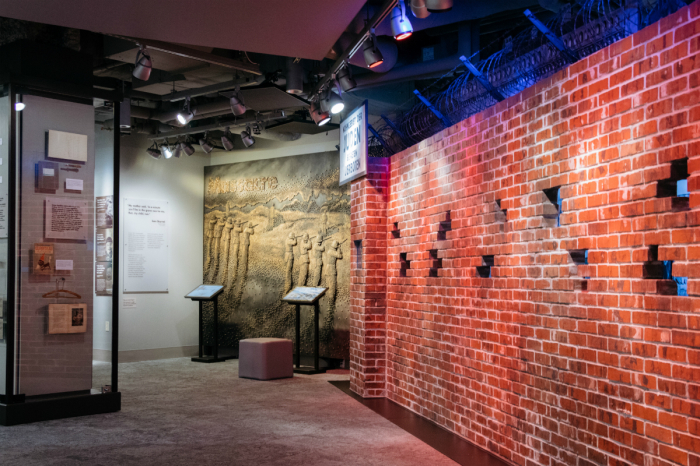 Seeing their faces and hearing their voices, thanks to the latest technology and with the help of hands-on exhibits, is a powerful experience at a time when the Holocaust transitions from something that occurred within living memory to a historical event. 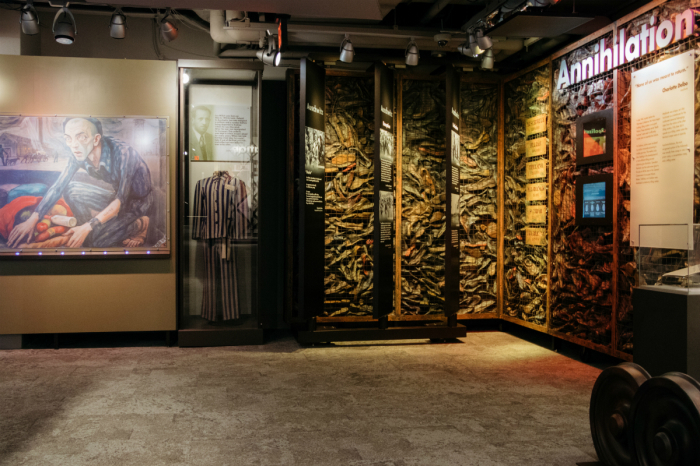 The museum also tells the story of so-called upstanders, the non-Jews who rose to the occasion during one of the darkest chapters of history. It certainly makes a visitor reflect on what they would have done had they been alive during the Holocaust, when 6 million Jews were killed. I would also be remiss if I didn’t note the symbolism of the Union Terminal location. 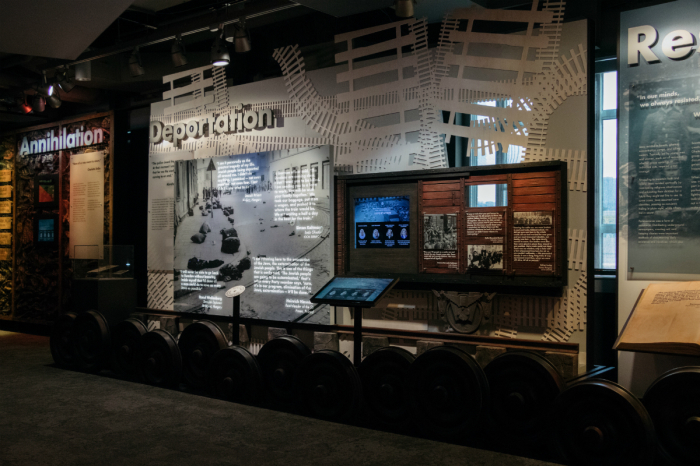 Not only were trains used by the Nazis to transport Jews to concentration camps, but this is where the local survivors first arrived as they settled in the Cincinnati area. I stayed at the Renaissance Cincinnati Downtown Hotel, which is housed in a circa 1901 bank building. For restaurants, I recommend Orchids at Palm Court, which boasts a five-diamond rating from AAA. Just be sure to make a reservation. Cincinnati/Northern Kentucky International Airport is served by all the major airlines. Could Christians Have Reversed Anti-Semitism?